CS-Cart “Extended accordion menu” add-on is a great tool to add individuality and style to you store. It is very flexible, so its appearance can be customized easily. In addition to a great appearance from the design point of view, the sliding content saves some store space. Moreover, this add-on allows to display how many items in each category opposite to its name. Your customers will like it! Ability to turn on and off items quantity of categories and subcategories. newAbility to choose menu color and even set gradient. This add-on works correctly in Internet Explorer, Mozilla Firefox, Safari, Google Chrome and Opera latest browser versions. The add-on is compatible with CS-Cart and Multi-Vendor 3.0.x. - 4.9.3 versions. One license of the add-on is valid for only one CS-Cart installation. In order to use the add-on on another CS-Cart installation, it is necessary to buy one more license. We do not send the source code of the add-on. After the purchase you get the initial package that needs to be activated to receive the full functionality of the add-on. You can find the installation instruction in the archive of the initial package. You understand and agree that if you face any issues with the add-on you are ready to provide us with temporary FTP access to your store in order to investigate and solve the issue. Download the installation package from the order page. Extract it to the temporary folder. Use the “installation instruction.txt” file for the following instruction. After the add-on's installation go to the administration panel -> choose Add-ons -> Manage add-ons. Click the gear opposite to the add-on name and choose ‘settings’. Licence key -paste the license key that you can find on your order detailed page (the ‘Download’ button). 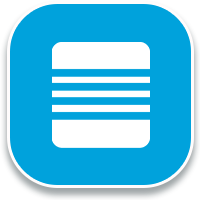 Accordion menu levels - specify the number of menu levels you want to display. On ‘Level styles’ tabs you can change the accordion menu style according to design of your store. Go to Design -> Layouts -> choose the location -> add block to the necessary grid. 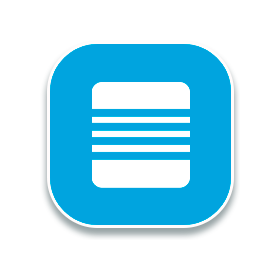 On the ‘General’ tab type the block name and choose the ‘Accordion menu extended’ template from the selectbox. Max level depth - this setting defines the number of Accordion menu levels. Open by click on - specify the type of navigation you prefer to use: arrows or full row. Show products’ count (only for the ‘Categories’ type of block) - choose if it is necessary to display categories’ and subcategories’ product count or not. I have been using this module for more than a year now, and had no problem. It is very easy to install and configure. I am very pleased with the ability to change the color of the menu through the settings, thanks to this, you can configure the module for your design in two clicks. Yes, you can use this add-on without the installed 'Accordion menu' one. This "AcordionExtended menu" it's working without Accordion Menu Addon installed? Super Add-on, super after buying service. You can check how does it work here: www.mishmag.net. Thank you.